GoXtra News: DStv presents the debut of the iRock Limpopo festival! 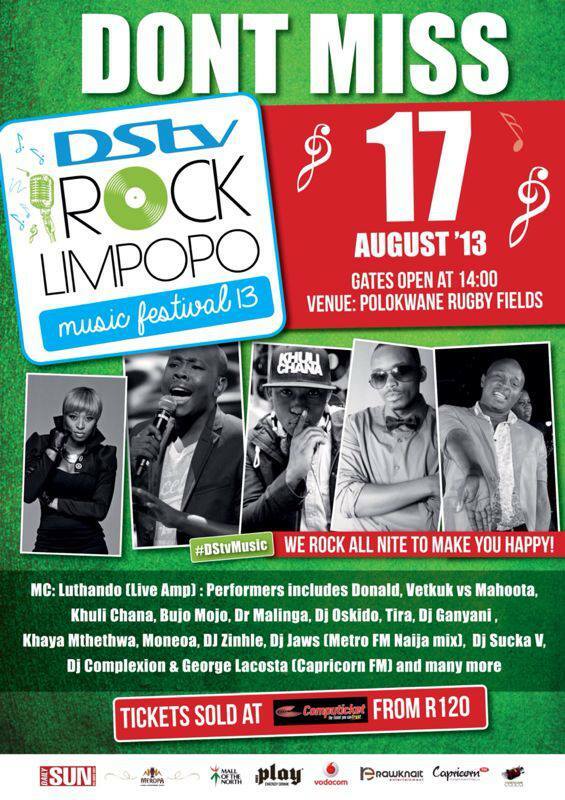 DStv presents the debut of the iRock Limpopo festival! HOURS of award-winning music, spine chilling entertainment and elevations to the new musical heights are what you can expect from an epic evening at the iRock Limpopo Festival 2013! DStv presents the iRock Limpopo Music Festival in association with Daily Sun, Vodacom, Meropa Casino & Entertainment World and Play Energy Drink. This 12-hour non-stop party will be held at the Polokwane Rugby Fields on the Saturday, 17 August, showcasing the very best of South African House, Kwaito and hip-hop music. There is no doubt that the iRockers will be left screaming for more. 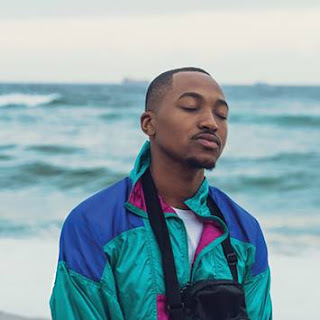 The line-up features dozens of award-winning South African artists and DJs, including Donald, Dr Malinga, Khuli Chana, Idols winner Khaya Mthethwa, as well as the gorgeous Moneoa. The DJs that will be performing include the very best of SA’s homebrew talent, such as DJ Zinhle, Oskido, Tira, Vetkuk vs Mahoota, Ganyani, and Bujo Mojo. Lootlove, presenter of Live Amp, will be the host on the evening. Tickets for iRock Limpopo are available from www.computicket.co.za, at the Computicket call centre on 0861 915 8000 or any Computicket outlets at Checkers and Shoprite. Visit the iRock Facebook page www.facebook.com/irocklimpopo for more information. Get your tickets now and be part of the iRock revolution. See you at the iRock Limpopo Festival!